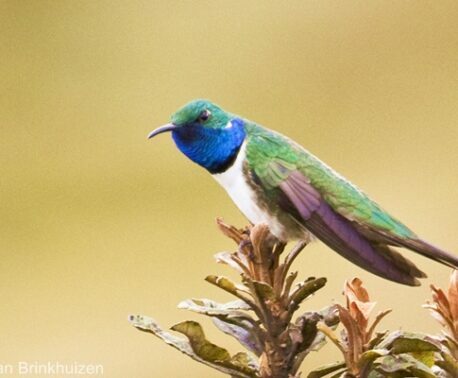 Deforestation is influencing the evolution of birds in the Ecuadorian Andes, finds a study of a small insectivorous bird species in Buenaventura Reserve, a 5,583 acre (2,259 hectare) reserve owned by WLT partner Fundación Jocotoco. 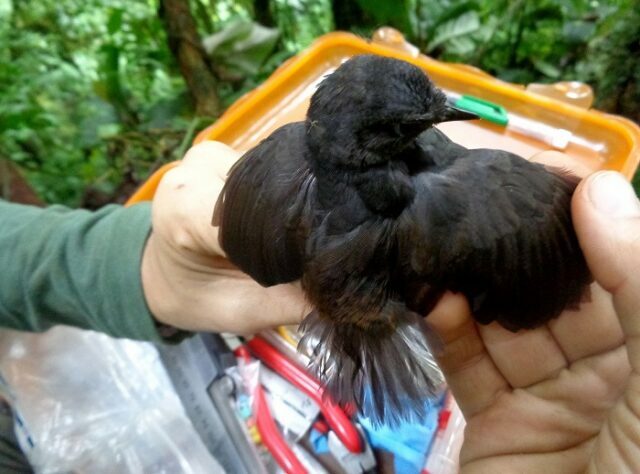 A study of the Ecuadorian Tapaculo, an Endangered passerine with only a handful of small, isolated and rapidly declining populations, found that wing shape differed according to the fragmentation of their habitat. Buenaventura Reserve, where the study took place, is made up of recovering forest ecosystems interspersed with areas of abandoned pasture. By studying the birds within forest fragments of different sizes, the researchers found that individuals living in small patches had narrow wings, and birds from larger patches displayed the short, round wings which are typical of Ecuadorian Tapaculos. The researchers theorised that this morphological adaptation has occurred because narrow wings enhance mobility and flight capacity, which enables them to cross habitat gaps (deforested areas) before establishing their territories. It is possible that these changes only began after the onset of intense forest fragmentation at the beginning of the 20th century (it is estimated that over 90 per cent of the original forest cover in southwestern Ecuador has been logged since then). 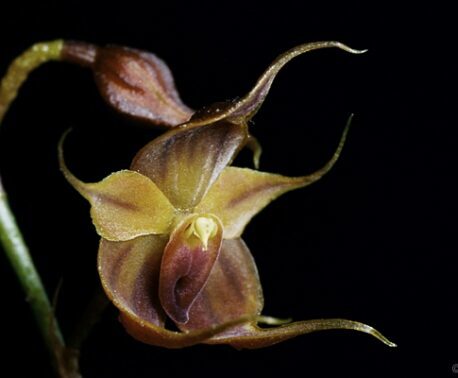 As forest loss and fragmentation are the main drivers of species extinctions in the Neotropics, being able to rapidly adapt in response to changes in habitat could determine a species’ survival in the wild. The Ecuadorian Tapaculo is not the only species under strong selection to adapt to deforestation. Other understory birds which may not be able to disperse through fragmented areas are antbirds, antpittas and hummingbirds. Buenaventura Reserve is the only protected site within the limited range of the Ecuadorian Tapaculo, and the surrounding area has suffered intense deforestation, with most forest patches smaller than 250 acres (100 hectares). Fundación Jocotoco is working to create a corridor which will protect more of the Tapaculo’s range, as well as another endemic and endangered species in the area, the El Oro Parakeet. The Ecuadorian Tapaculo, or El Oro Tapaculo, is just one of several species which can only be found on the western slopes of the Andes in southwestern Ecuador, and it is important that as much of this habitat is protected from deforestation as possible to maintain these species in the wild.